We are proud to announce that Wittenborn Plastic Surgery is now part of Riverchase Dermatology & Cosmetic Surgery. To schedule an appointment with Dr. William Wittenborn, please visit us online here. Thank you for visiting and we hope to hear from you soon. Thank you for visiting our website and congratulations on taking the first step toward a new you! Board certified plastic surgeon Dr. William S. Wittenborn, MD and the staff at Wittenborn Plastic Surgery located in Fort Myers, Florida invite you to look as good as you feel. If you are considering having a cosmetic procedure, we want you to be informed and confident about your decision. The decision to have cosmetic or reconstructive surgery is both personal and important. You deserve beautiful and natural results, which Dr. Wittenborn can offer. Dr. Wittenborn is a board certified plastic surgery offering cosmetic and reconstructive surgery of the breast, body and face. Please explore the services offered at our practice, and contact us with any questions you may have. Your privacy is paramount to us at Wittenborn Plastic Surgery, where you will find a warm, friendly and caring environment Dr. Wittenborn prides himself on being completely honest and forthright with his patients, even if that means recommending no treatment or procedure. Whether you're seeking to improve the contours of your face and body, give your skin a more youthful appearance, or attain the figure you've always wanted, Dr. Wittenborn can help. Contact our practice to schedule a consultation to discuss the cosmetic surgery options that will help you achieve the natural results you've always wanted. We invite you to browse through our website, and encourage you to bookmark it as one of your favorite resources on the Web. Patients come from many areas to see Dr. Wittenborn, including Cape Coral, Sanibel Island, Bonita Springs, Port Charlotte, Punta Gorda, Labelle, and Naples. We would like to hear from you, so please contact us via telephone or email with any questions, comments, or concerns that you might have. In addition, feel free to contact us if you would like to schedule an appointment. 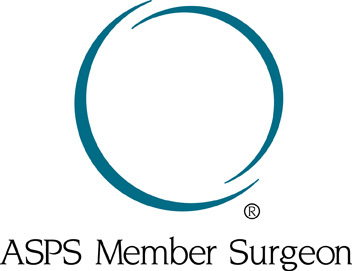 Fort Myers plastic surgeon, William S. Wittenborn, MD is dedicated to excellence in plastic surgery and the most up to date surgical procedures such as breast augmentation, breast lift, breast reduction, liposuction, tummy tuck, and botox treatments. Serving patients from Fort Myers, FL and the surrounding communities of Cape Coral, Sanibel Island, Bonita Springs, Port Charlotte, Punta Gorda, Labelle, and Naples.